by Richard Seymour (London: Verso 2016). I bought this last Friday, as I wanted something that would help me refute the continuing lies about the Labour leader: that he is a Trotskyite, his supporters have infiltrated the party, and that he is too left-wing to lead the Labour party to victory in 2020. The book does indeed provide plenty of information to refute these accusations, though I’m not convinced of its over all thesis. 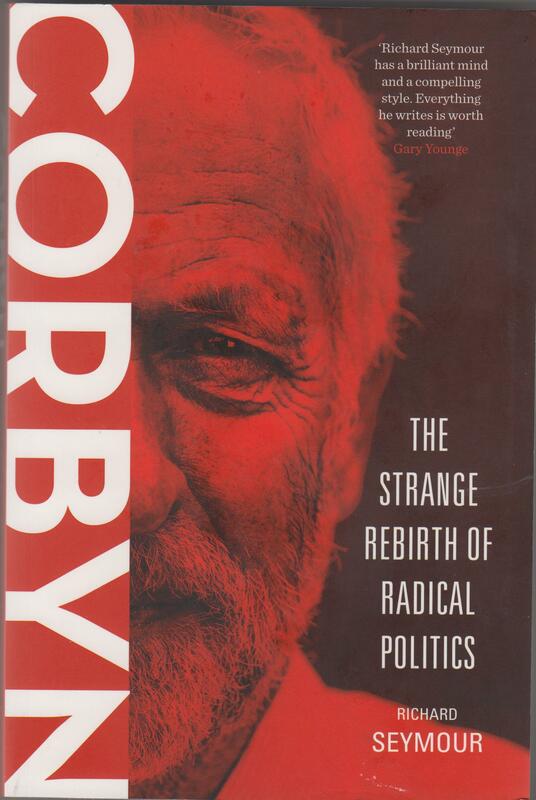 The book’s blurb states that Corbyn’s election as leader is just the latest phase in the party’s degeneration. Flicking through the book, it appears that his main point is that the Labour party has never really been a Socialist party, and that apart from the great victories of Clement Atlee’s administration, it’s record has been largely one of failure as it compromised its radical programme and adopted conventional, right-wing policies once in office. At one point Seymour describes the idea of Labour as a Socialist party as a ‘myth’. I was taught by historians, who did believe, as Seymour does, that the British Labour party was influenced far more by 19th century Nonconformist Liberalism than by continental Socialism. And certainly when Labour took power in the 1930s, it did disappoint many of its voters by following the-then economic orthodoxy. There is a difference between Labourism and Socialism. However, the party included amongst its constituent groups both trade unions and Socialists, and stated so. However, I haven’t read the sections of the book where Seymour lays out the arguments for his view that the Labour party is degenerating – along with, he says, western democracy. But he does have some very interesting things to say about Corbyn’s supposedly ‘Trotskyite’ views, and the whole nonsense about Far Left infiltration of the party. Corbyn’s parents were middle class radicals, who met when they were campaigning for the Republicans in the Spanish Civil War. Growing up in rural Shropshire, he worked on farms. He was radicalised while working as a volunteer for Voluntary Service Overseas in Jamaica, where he became aware and appalled by ‘imperialist attitudes, social division, and economic exploitation.’ He was a trade union organisers for the National Union of Tailors and Garment Workers, and then the National Union of Public Employees. He’s teetotal, and did not take part in the ‘hedonistic pleasures of the counterculture’. He is a member of the Bennite wing of the Labour party, the Socialist Campaign Group, which Seymour states has consistently opposed the government regardless of whichever party is in office. His former partner Jane Chapman states that he is ‘very principled, very honest … a genuinely nice guy.’ Since 1983 he has been the MP for Islington North. Seymour notes that even his most ‘sceptical’ biographer, the Torygraph’s Rosa Prince, acknowledges that he ‘is known as a “good constituency MP”‘. He takes great pains to help his constituents, and is ‘universally considered to do an exemplary job’. Apart from being anti-austerity, he has also actively campaigned against attempts to limit immigration, and rejects the New Labour tactic of trying to take on board some of UKIP’s militant nationalism. His first move as the new Labour leader was to attend a pro-refugee rally in London. The agenda on which Corbyn was elected is not, however, the stuff of which revolutions are made. he has pledged to end austerity, and in its stead implement a People’s Quantitative Easing programme, with money invested in infrastructural development, job-creation and high-technology industries. Canadian Prime Minister Justin Trudeau won office on an agenda like this. Even the OECD is anti-austerity these days. He promises to address the housing crisis through extensive home-building, to fully nationalise the railways, and to bring all academies back under local democratic control. These objectives are to be funded, not so much by squeezing the rich like a sponge to water the gardens of the poor, as by closing tax loopholes, stimulating growth, and spending less on controversial programmes like Trident. So where did this bilge that he was a Trot come from? Some of it came from the fact that his rallies were partly organised an attended by ‘accredited helpers’, people who were not Labour members, but who gave their time and effort alongside those who were. The only evidence that there was a ‘far left plot’ was the call by a tiny Marxist grouplet, the Communist Party of Great Britain. This has only 24 members, at the most, and whose weekly news-sheet is regarded as the Heat magazine of the Far Left. (P. 30). So where do the new members comes? Many of them are simply Labour members, who drifted away or became inactive thanks to the managerial, autocratic attitude of the New Labour leadership. They were tired of being ignored, and regarded only as useful for leafletting and so on. And what really annoyed many grassroots members was the scripts the leadership insisted that canvassers should follow when talking to people on doorsteps. A significant number are also young people, who have joined the Labour party because for the first in a very long time there is actually a leader, who means what he says and talks straight in language ordinary people can understand, rather than the waffle and management-speak that constitutes the rhetoric of his right-wing opponents. Much of the hostility against him in the press and the New Labour coterie comes from his support from two of the largest trade unions, Unite and Unison, which has had the Sunday Times and other rags screaming hysterically about the threat of renewed union militancy. But what really terrifies the Right – including the Blairites – and the media-industrial complex, is his style of campaigning. Blair and the other parties adopted a style of government based on industrial management, using focus groups, and with news and the party’s statements all carefully marketised and timed according to the news cycles. Corbyn doesn’t do this. He actually turns up at rallies and events up and down the country, and speaks to the people. Corbyn himself said that he went to 100 meetings during his leadership campaign, and by the end of that year would have gone to 400-500. (P. 7). Seymour states that on one Saturday in August, Corbyn spoke to 1,800 people in Manchester, 1,000 people in Derby, 1,700 in Sheffield’s Crucible and a further 800 outside. By the end of the month 13,000 people had signed to volunteer for his campaign. 100,000 people signed up as registered supporters, and 183,658 as active members of the Labour party. Like his American counterpart, Bernie Sanders, Corbyn is also massively popular on social media. Marsha-Jane Thompson states that within four weeks of setting up his Facebook page, they went to 2.5 million people. The page reached 11 million people every day. As a result of this, when they announced a meeting in Colchester on Facebook, all the thousand tickets were gone within 45 minutes. Seymour also notes the deference given to the traditional media has broken. over half of Corbyn’s supporters received most their information about his leadership campaign from social media. And the attacks on him in the mainstream press and news have compounded a sense among his supporters that not only is Corbyn genuine, but the traditional media is untrustworthy. (p.23). This is important. It isn’t just that Corbyn and his supporters represent a challenge to the neoliberal consensus that private industry is automatically good, and those on welfare have to be ground into the dirt, starved and humiliated in order to please bilious Thatcherites and their vile rags like the Scum, Mail, Express, Torygraph and Times. It’s because he’s actually going back to doing the traditional hard work of political oratory and speaking to crowds. Not just relying on his spin doctors to produce nicely crafted, bland statements which the party masses are expected to follow uncritically. And the newspapers, TV and radio companies don’t like him, because his success challenges their status as the approved architects of consensus politics. When 57 per cent of his supporters get their information about him from social media, it means that the grip of the Beeb, ITV, Channel 4 and Murdoch to tell people what to believe, what to think and what counts as real news is loosening drastically. And if no one takes them seriously, then their ability to act as the spokesman for business and politics is severely damaged, as is the ability of the commercial companies to take money from advertising. What company is going to want to spend money on ads following ITV and Channel 4 news, if nobody’s watching. And the businesses spending so much on advertising to take over the functions of the welfare state, like private hospitals and health insurance, are going to demand lower rates for their custom if fewer people are watching them and the mood is turning away from the Thatcherite and Blairite programme of NHS privatisation. Tuesday evening, at 10.40 ITV broadcast a documentary, ‘In the Shadow of Mary Seacole’, in which the actor David Harewood went on a journey from Britain to Jamaica and the Crimea tracing the life of Mary Seacole. Seacole was one of the Victorian heroines that have been forgotten with the march of time. In her forties, she went to Crimea to open a hotel to serve the troops, as well as going on to the battlefield to try to heal them with traditional Jamaican herbal remedies. She was at one time as popular as Florence Nightingale, and her memory has been preserved by Black historians and activists. Amongst those Harewood spoke to about her, were a group of mainly Black, but with one or two White ladies, who had formed a society to commemorate her. These ladies had succeeded in their campaign for a monument to be erected to her. As Harewood traced Seacole’s physical journey around the globe, so he also followed the story of the her statue from the initial design as a maquette, or scale model, to the completion of the final, 3 metre tall statue and its installation outside one of London’s hospitals. Apart from Harewood himself and the ladies of his commemoration society, the other speakers in the programme included Diane Abbott, the Shadow Foreign Secretary, the comedian Jo Brand, a Black actress, a White woman, who had written a biography of Seacole, and a biographer of Florence Nightingale. The latter was very critical of Mary Seacole. He felt that, in contrast to Nightingale, Seacole’s achievements in nursing had been blown out of proportion. He declared that there was no evidence she had saved thousands of lives. He felt she was only being commemorated due to ‘political correctness’ – the need to find a Black counterpart to Nightingale. He stated he had no objection to a statue being put up to her, but did object to where it was to be sited: outside the very hospital associated with Nightingale. Harewood correctly commented that she continued to divide opinions today. He began the programme at the side of the lakes in Birmingham, where he and his brother used to play as children. He said that at the time he was growing up in the 70s, there were no major figures of his skin colour, and no women. 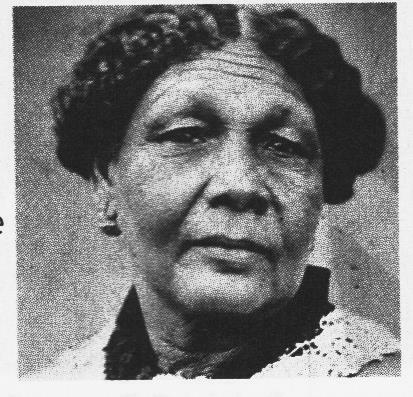 Mary Seacole had been a particular heroine of his. Seacole had been born in Jamaica in 1805, the illegitimate daughter of a free Black woman and a Scots soldier. Her mother ran a boarding house, and it was from her mother that she also learnt her knowledge of Jamaican herbal medicine. She later on married a White Englishman, Horatio Hamilton, who claimed to be the illegitimate son of Horatio Nelson and Lady Hamilton. The marriage unfortunately only lasted nine years. Hamilton was sickly, and Seacole nursed him through his final years before his death. With the outbreak of the Crimean War, Seacole used her own money to journey to Crimea to construct a hotel. There she was known for serving good food, as well as dispensing ‘liquors’ to the troops. Her hotel was particularly patronised by the officer class. Harewood explained that the purpose of the War had been to quell fears that the Russians were going to expand southward. The Crimea, then as now, was home to the Russian fleet. And so the British invaded and besieged the town of Sebastopol. After several years of fighting, the British managed to break the Russians, who retreated, sinking their own ships as they did so. The sequences showing the Crimean War were illustrated by clips from a Russian movie made in 1912. Mary’s fortunes were not so successful, however. She came back to Britain in debt. A banquet was held in her honour, in order to raise money for her, supported by several of the soldiers. Although the banquet was a success, it did not raise any money for her, and she died penniless, eventually to be all but forgotten. She had, however, left an autobiography, a modern edition of which Harewood was shown reading. The sculptor showed Harewood the model he had made. This would show Seacole as the strong, purposeful woman she was, striding forward with her clothes swirling around her. Behind would be a metal disc, which would bear the imprint of the ground from Crimea. It was designed to be lit up from below at night. To illustrate this, the sculptor showed Harewood the intended effect using the light from his mobile phone. His intention was not only to show Seacole herself, but that the shadows of the people admiring the statue would also be cast onto the disc behind her, so that for a brief moment they too would share her space. The sculptor stated that there were a lot of photographs showing Seacole’s face from the front, but he wanted to know what she looked like from all sides. Thus he asked Harewood to go to the archives in Jamaica to see what material they had on her. The British archivist there produced a bust of the heroine, in reddish-brown clay, that was made by one of the army surgeons. It was, he said, one of the rarest of its type in the archives and easily the most valuable. Harewood duly photographed the bust from all angles. Also in Jamaica, Harewood spoke to a former pharmacist, a doctor, who had given up her career in orthodox medicine for one in complementary healing. She explained that Seacole didn’t have any formal medical training, but would have been a ‘doctress’. This meant that she had a knowledge of herbal lore, which she used to treat and heal. It was this knowledge that she used to treat the wounded squaddies on the frozen battlefields of the Crimea. This led to Harewood and the sculptor, back home in England, discussing Seacole’s features. There’s a debate and a little controversy over how ‘Black’ Seacole was. She was clearly a woman of African heritage, but the sculptor also felt that there would have been some elements in her appearance from her White heritage. Her features, he believed, would have been a little narrower from other Black Jamaicans as a result. He then sent Harewood on to the next stage of his journey of discovery, to the Crimea to find suitable ground from which to take the impressions for the statue’s metal disc. At the Crimea, he met a local historian, a mature lady, who guided him to some of the battle sites. He looked over the ‘Valley of Death’ through which the Light Brigade charged to spike the Russian guns, celebrated in Tennyson’s poem, and illustrated in a painting from the period. Poring over maps, he traced the site of Seacole’s hotel, and was delighted to discover that there were still relics of her stay littering the ground. These included some of the wine and alcohol bottles she had stocked. Looking at the shards of glass, Harewood and the historian discussed how the British used to shoot the tops off the bottles. Harewood was accompanied on his journey by the technician, who was going to take the impression of the ground. While Harewood and the historian discussed Seacole’s hotel and its remains, he went off to find a suitable rock formation. This was scanned using a laser, which the technician held up to shoot its rays at the rock face, slowly building up a three dimensional computer model of its surface. The Black actress commented on what a strong, modern woman Seacole would have been. She had travelled on her own across the world without a husband, something which was extremely rare at the time, and which few women did today. Back in England, Harewood returned to see the immense metal armature the sculptor had constructed, which would serve as the three-dimensional framework for the clay from which the statue would be made. The sculptor trowelled a few pieces of clay into place before inviting Harewood to join in. Harewood did so, but not unsurprisingly found stirring and getting the great gobs of clay from the bucket onto his trowel, and then on to the frame hard work. It struck me that this part of the statue’s construction was not so much like the image of sculpture everyone has, with delicate fingers moulding pliant clay, so much as like a navvy laying down mortar on a brick wall. Harewood then said that there were a few more things that needed to be done to the statue, with footage of it being covered with various other substances, one of which looked like rubber, before it was due to be taken to be cast into bronze. The programme showed the statue being driven to the foundry on the back of an open truck, securely fastened with tarpaulin and ropes. Once there, the programme showed the molten bronze being poured from a crucible into the mould formed from the clay statue. This was the moment of truth, and the sculptor described it as a form of alchemy. The statue was being cast in pieces, and the sculptor took Harewood to see some of the pieces that had already been cast, which included her head. At this stage of the process, the bronze was a bright, coppery colour. The pieces would be assembled and welded together. The welding marks would then be removed, before the statue was finally put in place. There was a little footage of this being done. When completed, the statue was a much darker colour. The programme showed the ceremony for the statue’s installation. Amongst those speaking were Diane Abbott, and the sculptor himself. He said in his speech that there were plenty of statues of White men, mostly monarchs and generals, but only 15 per cent of the statues in Britain were of women, and very few Black people. It had therefore been his privilege to try to redress this. Back in the studio, Jo Brand paid tribute to Seacole, saying that she was a woman of immense compassion. Her biographer answered the criticisms of Nightingale’s biographer by saying that the comments about her going to run a hotel there were meant to disparage her accomplishment by pointing out that there was also a commercial motive. But this did not detract from her achievements. She also answered the criticism that Seacole didn’t have formal medical training by pointing out that nursing as a distinct, respected profession didn’t exist at the time, and was only created by Nightingale after the War. Harewood himself also commented, stating that there were few, if any, statues of people of his colour. But it was important to have them, to show that people of colour had been a part of this country’s history for a very long time. It was an interesting glimpse into the life of a determined woman, who was rightly celebrated in her day. I don’t think you could quite make her Nightingale’s equal – Nightingale herself was an expert mathematician, who added much to statistics, and whose achievements included the invention of the pie chart. And Nightingale is the genius behind the creation of modern nursing. Nevertheless, she played her bit providing comfort to the wounded in during the horrors of the Crimean War. Brand at one point said she must have been an immense comfort to some poor, teenage soldier dying far away from his mother. And the troops also doubtless appreciated the alcohol she brought on to the battlefield. So, while may be not as great a figure as Nightingale, she certainly deserved her statue. One other thing also struck me about Seacole and her unofficial status as ‘doctress’. While this may strike people today, used to modern, professional scientific medicine, as something close to magic, it would have been immediately familiar to the ordinary troopers from working class or rural poor backgrounds. Before it was applied to African spiritual healers and practitioners, the term ‘witchdoctor’ originally meant the white witches and wizards of rural Britain, to whom the poor turned to heal their illnesses. Professional doctors before the establishment of the NHS and the welfare state were rare in rural areas, and expensive. Unofficial healers with a knowledge of herbalism were therefore the only people available to the poor, whether they were White British or Black Jamaicans. Professional doctors also had a reputation as rapacious quacks, whose treatments were more likely to kill you as cure you. The rank and file squaddies in the British army were thus probably more prepared to trust her as the type of healer they had grown up with at home, than the properly trained medical men. And clearly, the army surgeon, who had sculpted the bust respected her courage and professionalism, otherwise he would not have tried to preserve her image in clay. And Harewood is right: Black people have been in Britain since the Romans. It is thus only right that Seacole should have a statue in her honour. The contribution of Mary Seacole, a Jamaican nurse of Scottish and African descent, to caring for wounded British soldiers during the Crimean War has been increasingly acknowledged over recent years. Actor David Harewood embarks on a highly personal journey of discovery as he follows the creation of a statue of the woman who has always been a heroine to him. The programme’s on at 10.40 today, 18th October 2016. Seacole was as big a heroine in her time as the nurse everyone’s heard of, Florence Nightingale. There were mass petitions and crowds gathered to see her honoured, and it’s a very sore point with many Black activists that she has been so comprehensively forgotten. They see it as being due to racism, while I think that part of it may also be due to Nightingale having been the better self-publicist. Regardless of this issue, she is one of Black Britain’s greatest heroines, and indeed one of this country’s greatest irrespective of colour, and it’s only right that her story should also be brought back to public memory and respect.